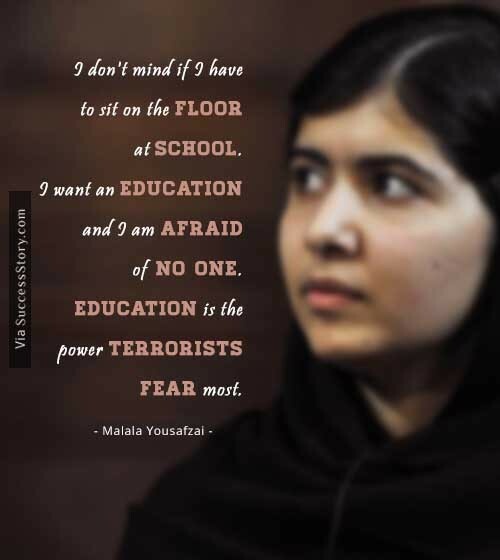 Malala Yousafzai at a tender age defied the Taliban and fought for girls’ right to education. In 2012, a Taliban gunman shot her, but luckily, she survived the attack. 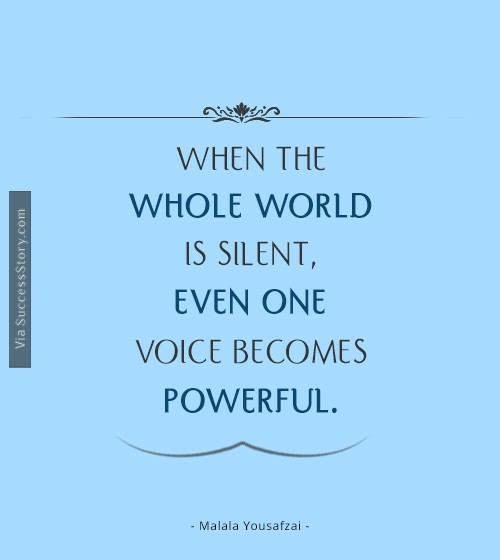 Malala has emerged has a motivator and demonstrated immense passion so far. She has been passionate about equality and education for girls. 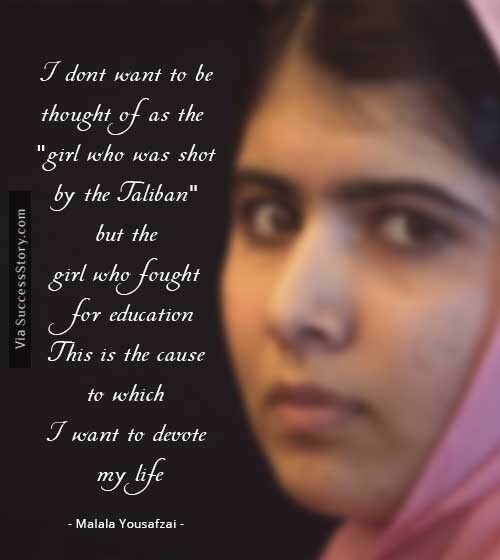 Malala continued fighting for the cause even after being threatened by the Taliban in Pakistan. 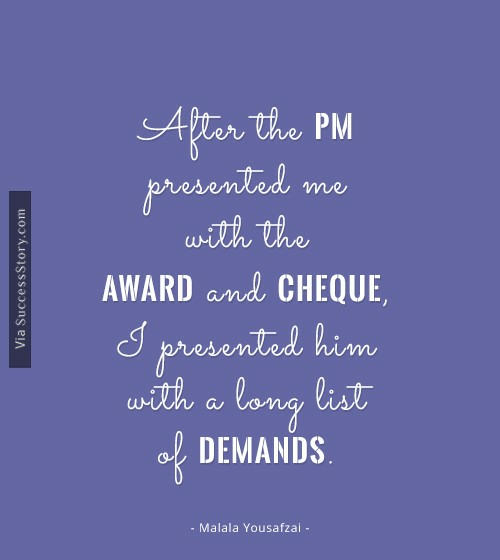 "After the PM presented me with the award and cheque I presented him with a long list of demands"
"I don`t cover my face because I want to show my identity"
"I don't know why people have divided the whole world into two groups, west and east. Education is neither eastern nor western. 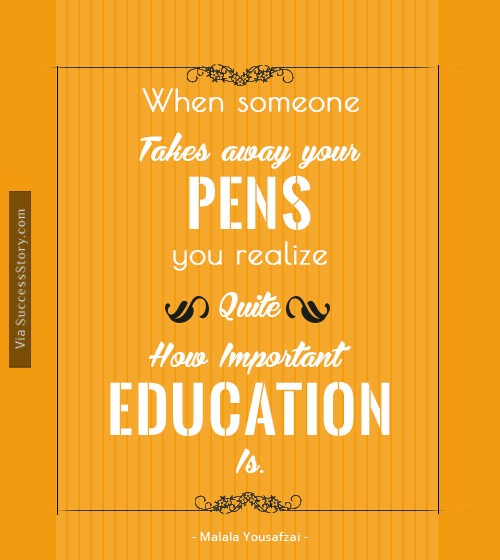 Education is education and it's the right of every human being"
"“I don't want to be thought of as the "
"Let us make our future now, and let us make our dreams tomorrow's reality"
"Some people only ask others to do something. I believe that, why should I wait for someone else? 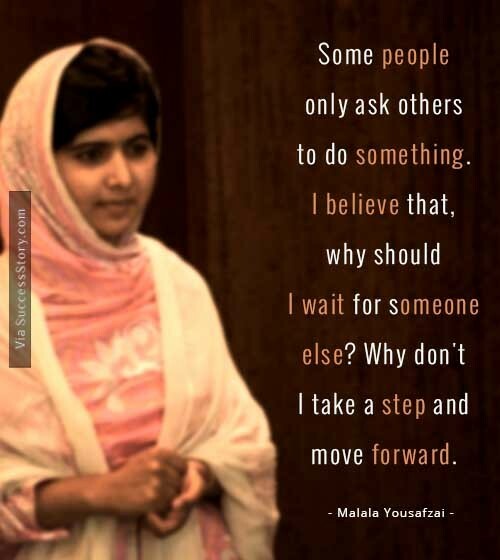 Why don't I take a step and move forward"
"When someone takes away your pens you realize quite how important education is'"
Malala Yousafzai is a role model for both men and women. She is also the founder of Mala Foundation that works for Women’s rights. This teenager from Pakistan is really an inspiration for all. 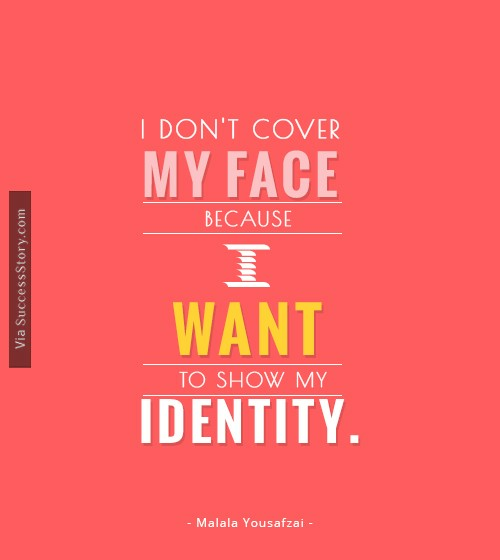 On reading Malala Yousafzai quotes on women's rights, one can find how passionate she is about her work. In her speeches and quotes, she has always been mentioning that it is the responsibility of the society as a whole to bring about a change for the girls in the oppressed countries. 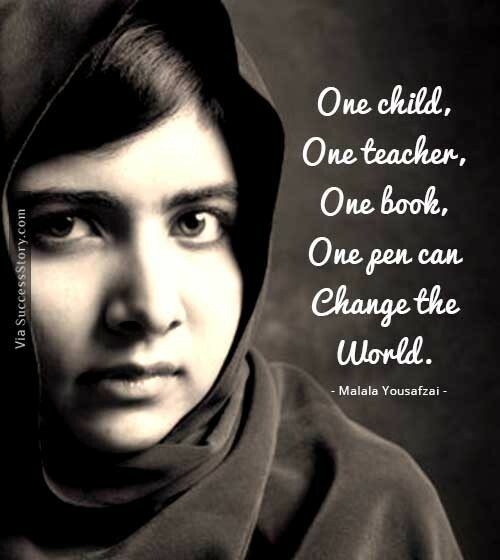 Malala Yousafzai story is very inspiring. Despite of her achievements, fame and admirable attributes, she has a remarkably humble character. The grace and humility with which she greets the situations is really commendable and praiseworthy. This young, brave girl has not only initiated a movement, but has also carried it successfully after recovering from the injury. It is because of her efforts that the fight for gender equality has spread so rapidly. 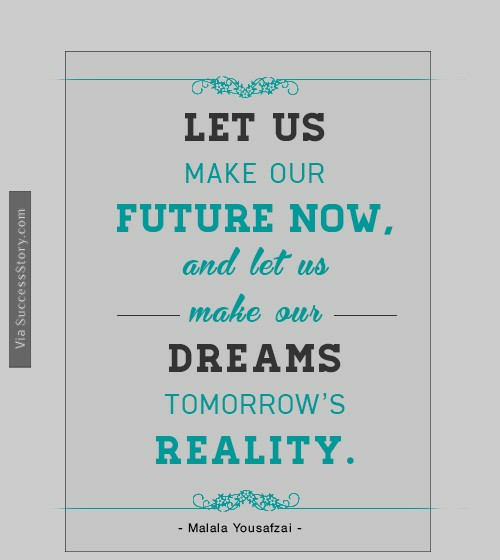 Malala has given a new hope to the girls to receive quality education and practise their right to knowledge. She is a true inspiration for all, indeed. Great people like her can help us to lead a better and meaningful life.